Technology professional from Melbourne, Australia. Since Optus promised us all free Wifi with all iPhone 3G plans, I decided to check it out. There is a hudsons coffee place near work. So I follow the instructions to setup an account, it SMS’s me a password, and manage to login just fine. Nice and fast. Cool. However, Optus dont have many wifi hotspots that they run themselves. They are partnered with Azure however which increases their coverage somewhat. So there is a Quest block with Azure coverage nearby as well. I try to connect, choose Optus Wireless Connect as the partner, and I am prompted with a login screen. I have already created my account so I thought – I try to login and it says Access Denied. What am I missing? Maybe the backend authentication is out of sync or something. So I phone up Optus iPhone support – 4 times! – before I get someone who knows what I am talking about. They tell me that the Optus Free Wifi is for Optus run hotspots only – not Azure ones. To me this makes it almost useless as there are only 16 hotspots in Melbourne ! The Azure coverage is much more extensive. Also Optus are happy to promote the fact they partner with Azure – but do not mention anywhere that iPhone users are not welcome. Previous Post iPhone v2.0 Jailbreak is out! 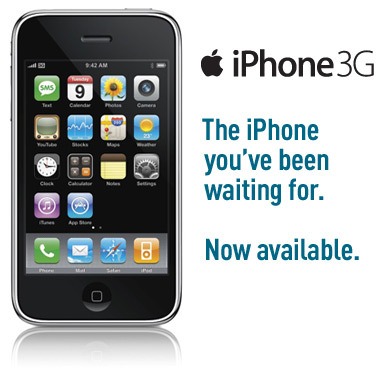 Next Post Slow iPhone 3G? Really? Australia is generally still very crap for free wireless. Try Australia on Collins, or Magnation or E55 on Elizabeth St., all free and unencumbered!